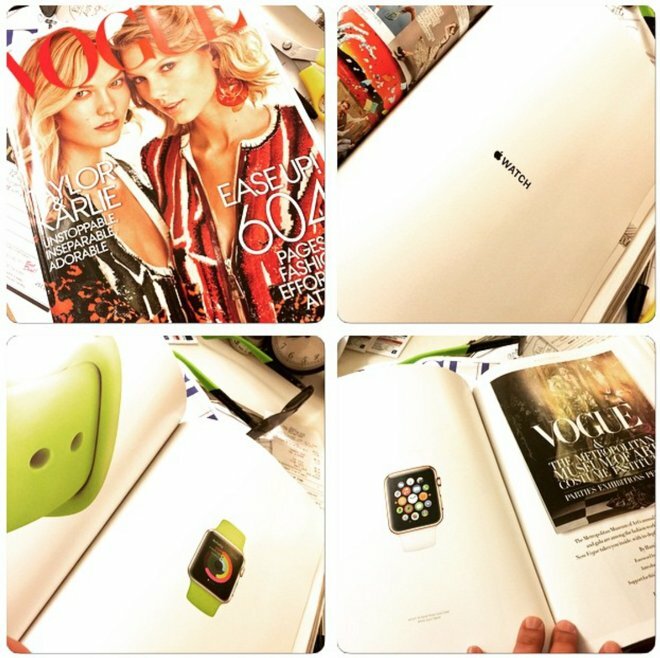 As the April launch of the Apple Watch fast approaches, Apple has taken out a major 12-page ad in the latest issue of fashion magazine Vogue, and also included a video version in the digital iPad edition. 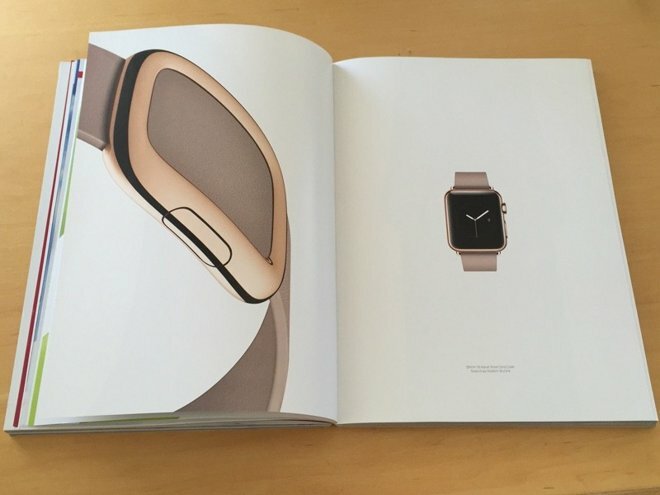 Apple Watch ad in the March 2015 issue of Vogue, via ray_kuan. The Apple Watch ad shows the wrist-worn accessory in a variety of styles and colors, including close-up views of the hardware and swappable watch bands. The first look at the Vogue ad was posted on Instagram earlier this week by user "ray_kuan." Apple also has a special digital version of the ad, showing a 360-degree look at the Apple Watch, in the iPad edition of this month's issue. The ad was posted by Instagram user "poppyorjewelry." In the print version, the Apple Watch hardware is shown in actual size, as noted by MacRumors. This way, Apple can give readers an idea of how the device will look when it becomes available to own in a few months. The ad features the entry-level Apple Watch Sport with durable rubber bands, the mid-level Apple Watch with stainless steel band and magnetic clasp, and the luxury 18-karat gold Apple Watch Edition. Apple Watch ad in the March 2015 issue of Vogue, via MacRumors. The new ads are yet another sign of how Apple is targeting the fashion industry with its upcoming device. The Apple Watch will also make its U.S. magazine cover debut in the March issue of Self. In addition, supermodel Liu Wen work the Apple Watch in a Vogue China spread last October. Apple is also said to be taking unorthodox approaches to marketing the Apple Watch, including an in-store display at Paris's high-end Galeries Lafayette department store. The marketing efforts only serve to underscore how Apple is rethinking its longstanding promotional strategies as it begins its foray into the entirely new market of wearable devices and fashion.